Yvonne Craig, Best Known As 'Batgirl,' Dies At 78 : The Two-Way She played opposite some of Hollywood's biggest names, including Bing Crosby and Elvis Presley. Her breakout role was in the 1960s Batman TV series starring Adam West. Yvonne Craig portrays the crime-fighting Batgirl in the 1960s television hit Batman. Craig died Monday, in her Los Angeles home from complications from breast cancer. She was 78. "She had been in chemo almost continuously for the past two plus years since being diagnosed and that had weakened her immune system as well as her body. This didn't dampen her sense of humor or her spirit, she intended to fight and win this battle. In the end, her mind still wanted to fight but her body had given up." Craig was a trained dancer who had studied at the Ballet Russe de Monte Carlo and toured for three years. 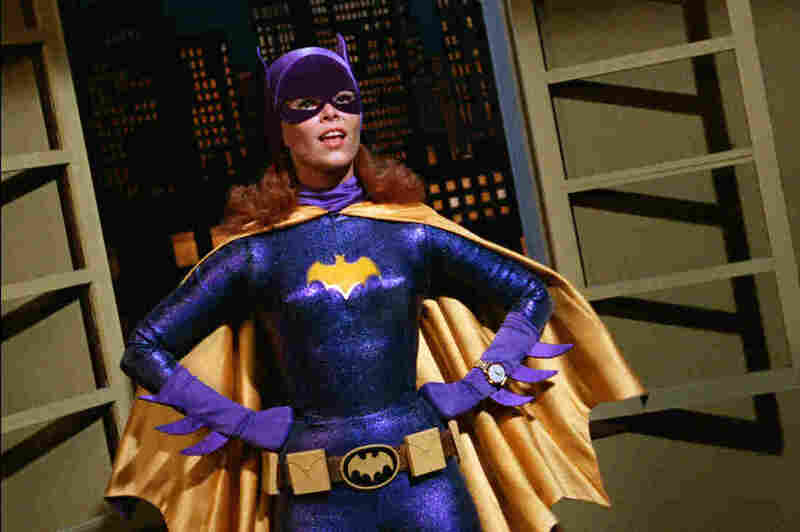 Those dancing skills came in handy when the character of Batgirl debuted on ABC's popular superhero crime-fighting series in 1967. Craig was able to perform her own stunts alongside Adam West, who played Batman. As with many characters on the show, she had to play two roles. By day, she was librarian Barbara Gordon, daughter of Gotham City police Commissioner James Gordon. But in times of need, she transformed into the caped crusader fighting crime alongside Batman and Robin. She even had a purple motorcycle with white lace trim. Star Trek fans will remember Craig's work, too. 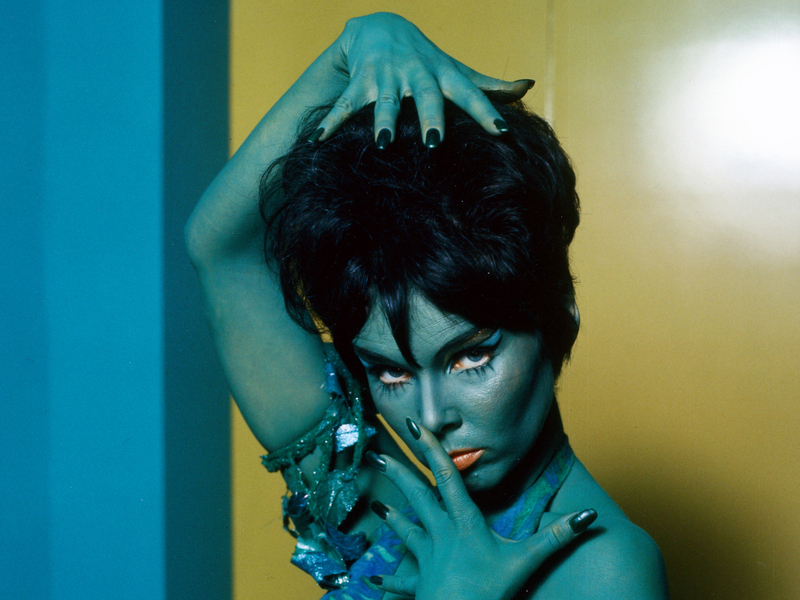 She played Marta, the green-skinned Orion slave girl who wanted to kill Captain Kirk in Season 3. Other roles include the 1963 movie It Happened at the World's Fair and 1964's Kissin' Cousins, both staring Elvis Presley. She also made guest appearances on popular TV shows throughout the 1970s, including Starsky & Hutch, The Six Million Dollar Man and Kojak. More recently, she did voice work for the Nickelodeon animated series Olivia about an imaginative and creative pig. Outside of acting, Craig had a real-estate career and also was involved with philanthropy. She was an advocate for workers unions, free mammograms and equal pay for women. "Wish Number One, is that her family, friends and fans would know how much she loved them and always treasured her time with them. Wish Number Two, was that no one waste a moment of their time in mourning for her loss in sadness but instead celebrate the awesome life she had been fortunate enough to live. She felt that she lived a wonderful life and was blessed in many ways." Craig is survived by her husband, Kenneth Aldrich, as well as by her sister, Meridel Carson, and nephews Christopher and Todd Carson. Yvonne Craig appears in a publicity photo for the TV series Star Trek in 1969. She played the role of Orion Marta in the episode titled "Whom Gods Destroy."